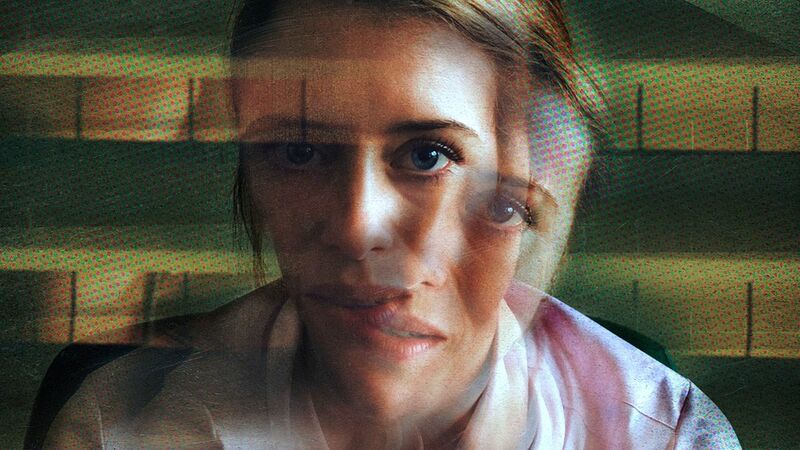 Photo from the film Unsane. During the last few months when women, later embraced by the #MeToo movement, accused men of sexual abuse, the public would not always believe them. After all, who would wait five, ten, twenty years after a series of horrific sexual attacks to report them? Ultimately we find out that the accusing women had a right to keep silent. Some depended on the men for their very jobs, others may not have believed that what the men were doing was even wrong (particularly the young gymnasts who let their grievances dissolve because some could not know that what the doctor was doing was illegal and immoral). Now comes a film that warns us: ignore women’s accusations at your peril. That’s not the only thematic concept brought out by “Unsane,” an absorbing and, for director Steven Soderbergh, one which takes him away from his usual concerns. Think of the corruption of hospitals who sucker in patients with insurance, whether Medicare, Aetna, Oxford, of any of a number of businesses–that should be giving medical facilities an ever harder time to justify their treatments than they do now. Worst of all nurse George (Joshua Leonard) takes a fancy to her, playing a larger part as the film progresses, and is accused by Sawyer, whose protestations are at the loudest pitch yet, of stalking her all the way from Boston to Pennsylvania. She has only two people to count on: her mother, Angela Valentini (Amy Irving), who wails that her daughter is 450 miles away, and best of all Nate Hoffman (Jay Pharoah), completely normal, a voluntary patient in for opioid abuse. He clues her in about the corruption: the hospital tries to commit people right and left in order to collect insurance during the seven-day allowance period. You may be scarcely aware that cinematographer Peter Andrews captures the whole film on an iPhone, which makes the movie serve as an ad for the pesky gadget that has addicted almost the entire millennial generation. And the iPhone absolutely loves Clare Foy, a stunning performer appearing in almost every scene, a veteran of TV episodes like “The Crown,” where she connects with her audience in the principal role of Elizabeth II.